Known as the Robert Sachs House, designed by architect William Kaeser in 1958. It is a prime example of mid-century architecture in a unique neighborhood developed in the 1950s. It was required that each house be designed by an architect. 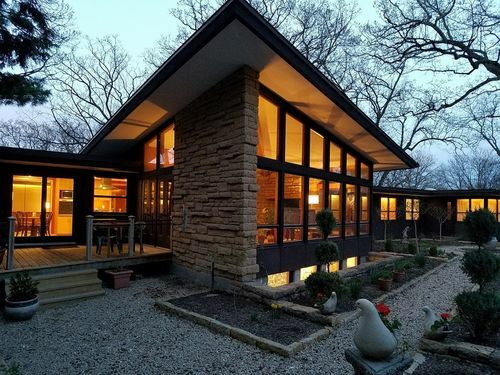 The current owner purchased the house in 2015 because of its mid-century design and its wonderful location. The Sunset Village neighborhood is wooded and secluded. Extensive renovations and upgrades have brought the house up to today's standards. All of the work was mindful of house's unique design features and above all, its mid-century soul.